If you liked this show, you should follow LightningRod Radio. Go to the LightningRod Radio Network website to listen to 64kbps Stereo LIVE streaming of the show, as well as a CHAT room that requires no registration. We may take your questions or comments thrown into the chat room. Special night/time Friday 8pm Mountain. 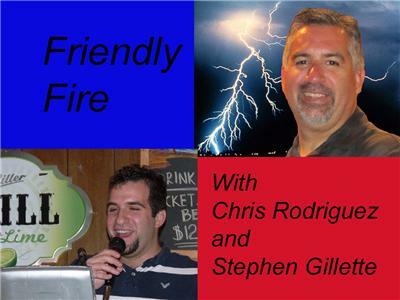 Join Chris Rodriguez and Stephen Gillette while they debate just about anything - from opposite political perspectives - often in a snarky yet hilarious way.